There are a number of different reasons for the development of chronic pain. 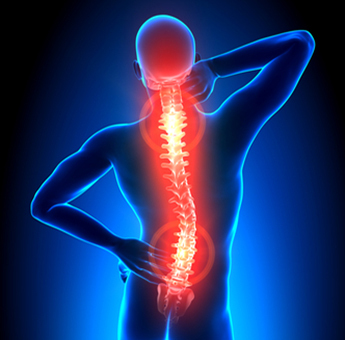 Failed back and neck surgery, ischemia and neuropathy can result in back pain which can also lead to leg pain. While treatment options are many, spinal cord stimulators form an excellent modality of treatment when it comes to managing chronic pain associated with these conditions. Here we shall take a brief look at these stimulators. Spinal cord stimulators refer to a tiny pulse generating device that is implanted into the back to the vertebral column where it can send electrical impulses to the nerves within the spinal cord. These electrical impulses have the capability of blocking the conduction of pain along nerve fibers, thus making this treatment useful in managing pain. Who needs Spinal Cord Stimulators? The procedure is performed as an outpatient under local anesthetic. In the initial stages, are temporary spinal cord stimulators that passes electrical impulses to the nerves through the skin is inserted. This is a trial stimulator to see how the patient responds to treatment. If the patient tolerates the device well and responds to the procedure appropriately, a more permanent spinal cord stimulator is implanted. The wires that emerge from the spinal cord stimulator are passed under the skin all the way to the spinal cord where the nerve fibers are present. The stimulator device is implanted in a small pouch that is created in the skin of the abdomen. After implanting the spinal cord stimulator, the skin is cleaned and dressed and the patient is discharged home. The doctor will advise the patient how to use the stimulator. In most cases, the device is used for a couple of hours at a time for up to 3 to 4 times a day. Pain relief is fairly instant but can wear off due to development of tolerance to the beneficial effects. Once the device has been implanted, follow-ups will be conducted to ensure that none of these complications have occurred.